Luxury home building and remodeling is flourishing throughout the Bethesda MD and Washington DC areas. Typical buyers look not only for quality in a build and style of home, but also in curb appeal and landscaping design. Designers of luxury landscaping offer many options, but often, the end product seems very cookie cutter, similar to local neighborhoods or their surrounding block. So how is it possible to create a one of a kind design with a unique flair? Lets examine current Bethesda MD landscaping ideas & local landscape trends. A luxury home is built with a buyers unique style, sophistication, and stamp of character. There is no reason why these characteristics end with the inside of the home. That is not to say that everything must match the patina, color and theme of the inside. Indeed, this is an individual choice. Partnering with a company, like the landscaping design specialists of the Rasevic Companies, goes a long way into turning the outside into a dream escape that matches the dream home. Many homeowners are enhancing their backyards with outdoor living rooms and kitchens so incorporating a professional design is essential. Contact our team for a free landscape design consultation in the Bethesda, MD or Washington, DC area. We have created luxurious homes and landscaping designs for nearly 30 years! 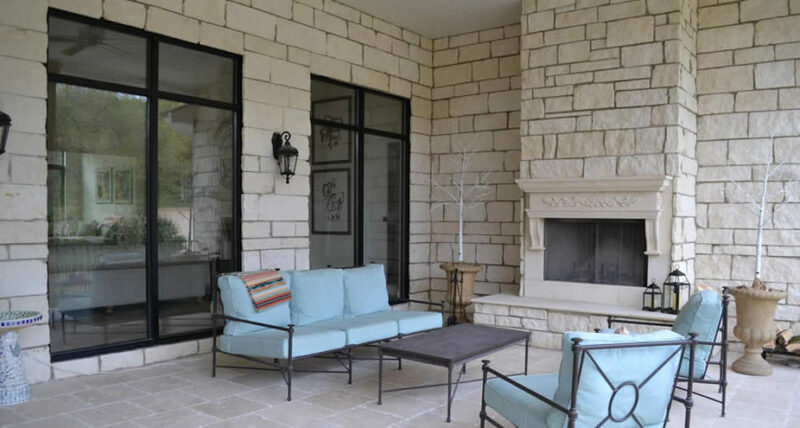 While it is difficult to say exactly how much monetary value accrues when luxury outdoor elements are added, the benefits cannot be understated. According to the Washington Post, there are many choices to consider for any budget. For the home to really “pop“, a landscaping budget, worth 10% of the home value, is suggested. But which elements are standouts? The exterior should coordinate with the architecture of the home. Craftsman styles must mimic the post and beam, stonework columns of covered patios or porches, and lighting style of the period. Alternately, Queen Anne, Victorian, and Colonial homes should embellish the landscaping with pavers, lighting and flair to match the home, yet add the unique flair of each homeowner. Any top Bethesda landscape designer also pairs the materials with floral colors, trees, and contrasts to match the period and architecture. From Victorian cottage gardens to low maintenance shrubbery. Great landscape designers also offer services to keep the garden, sod, and trees to peak beauty throughout the changing seasons. This is a value added bonus for the busy, working professionals, throughout the Washington DC metro area. Let’s face it, walking outside onto a square patio, with a square pool and square backyard leaves something lacking. A professional landscape design team implements the color, contrast and opulence necessary to create a remarkable design which flows. It should create focal points of interest, and marry the inside elements chosen by the owner, toward the outside of the home making for a one of a kind product. Walking paths with different media or a meandering curve, invite a stroll. Adding water features is another way to offer serenity in a busy world. Note: if the home is more contemporary, the rectangular elements must be over pronounced to create that quirky look which really accentuates the design of the older,”groovier”, architecture. Houzz and Pinterest offer thousands if ideas for the buyer to gain some creative choices to bring to the landscape designer. Homeowners eager to congregate, relax or entertain lavishly must not forget unique lighting. This does not just pertain to exterior fireplaces or covered porch/patio accessories. Luxury LED lighting brings a whole new component to the once, dull, shadows of evening porch sitting. Lighting must take on a new, low-energy, yet glamorous approach, to the landscaping. Adding these elements, not only around sitting and pool areas, but also to pathways, steps, between garden-scapes, or even shrubs and trees, creates a mystical world, enhancing the home, and inviting the owner or guests to enjoy a mini escape. Of course that luxury outdoor fireplace and gathering area only adds to the ambiance creating a magnificent experience for all during any of the four gorgeous seasons in Bethesda. Just like the home renovation or build, owners must create a detailed list. This will help the designer incorporate the materials, ideas and unique stylistic designs into the perfect landscape theme for the home. The idea of living in this growing and eclectic area of the country, is to embellish beyond the cookie cutter standards, to the grandeur. Build the list of wants, needs, desires, hopes, dreams and budget and then contact us to add the perfection of luxury landscape design to your already luxurious Bethesda or Washington DC home!